She made eye contact with me. She instantly came running, arms WIDE open with the BIGGEST smile on her face. I will NEVER forget that look in her eyes. She jumped in my arms and I just wept. We are the Roberts Family. Dean and I have been married for six years and Viviana joined our family in October of 2014. Dean and I started serving in Nicaragua with a mission organization in 2010. We immediately were drawn to the country and the people there. Over the next several years, we continued to feel led by God to serve in Nicaragua. It was on our last trip in 2013 that we really began having talks about adoption. While our hearts were in Nicaragua, we assumed there was no way we could adopt from there due to the in-country stay requirement. I mean who can go live in a country for 12+ weeks to complete an adoption? Well, God continued to shape our hearts and lead our steps. He closed the door to every Latin American country except Nicaragua. He led us exactly where He wanted us, and that was in Nicaragua. 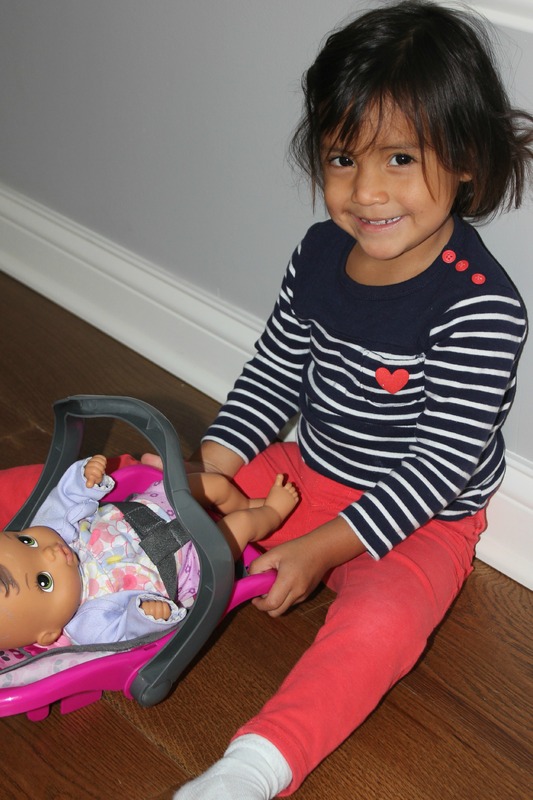 We decided to work with MLJ Adoptions, after researching the different agencies that offer Nicaraguan adoptions. Some of the initial reasons were due to the fact they seemed to have a solid Nicaraguan program at the time (meaning the most completed adoptions), they were local and we just had great interactions with everyone in their office. It was after we attended one of the informational sessions that Dean was sold. The next day we submitted our application. No two adoptions are the same. Even if you are going through the same country, the same agency and at the same time; your journeys will be completely different. When meeting people going through the process it’s very easy to start comparing journeys. Everyone tends to ask how long did it take you to do your home study? When was your dossier accepted? How long till you got a referral? At times I would genuinely want to know those answers, but in the back of my mind I was always then comparing it to our journey. Being able to remember that our journey to bringing Vivi into our family was a unique story written by God just for our family was very helpful for me. It allowed me to embrace it as our own as well as take away so much of the comparison of others journeys. I’ll never forget the first time we met Vivi at the orphanage. We walked in, I got on my knees and called her name and there she made eye contact with me. She instantly came running. Running, arms WIDE open with the BIGGEST smile on her face. I will NEVER forget that look in her eyes. She jumped in my arms and I just wept. This is my baby girl! This is for whom I have been praying for so long. I am finally able to hold her, to see her, to love on her.It was the most amazing experience in my whole life. I feel like God made everything else in the room disappear. It was just Dean and I and our daughter. Our time in-country was fantastic. Our in-country stay was shorter than we were expecting . We were in-country a little over 9 weeks. I stayed in Nicaragua the whole time while Dean had to come back and forth throughout our stay. My parents came and stayed for about a week and a half at the beginning of our fostering time. That was incredibly helpful. I also thought it was very important. I love that they were able to spend some time in the country where their granddaughter was born. They had a great time and immediately fell in love with Vivi. We were surrounded by amazing people whom we never met before, yet immediately welcomed us into their homes and their lives for the nine weeks we were there. Doing life alongside them during one of the most challenging yet rewarding experiences of my life is something I will always be grateful for. Wendy and her family (founders of FIT Nicaragua) were immediately at our doorstep when we arrived to welcome us. They made sure we had all we needed and were continually serving us the entire time we were there. Carlos and Sharla Martinez (also with FIT Nicaragua) were amazing servants to our family as well. Incredibly hospitable, genuinely kind, encouraging, and so welcoming to us. We spent a lot of time with the Martinez family. Living in the same apartment complex, their children quickly took a liking to our daughter. I feel like we were a part of their family. We would visit daily, share meals together, and tagged along for some sight-seeing trips. Without a doubt, our in-country stay was successful due to the ministry of FIT Nicaragua. From the support of the Willards and the Martinez family, to the convenience of having an available driver for all our needs, to doing life alongside people who have an amazing heart for adoption, our in-country stay was such a blessing. The plane ride home went exceptionally well. Vivi loves music so a few weeks before we headed home we started practicing having her wear headphones. We were hoping that would be an option to use to entertain her on the way home. We packed everything we could think of to keep her entertained and ended up using only a fraction of it. Since we were traveling home in December there was obviously a huge change in weather from Nicaragua to Indiana. So when we got to Atlanta, we changed Vivi from her shorts and T shirt to long pants and a long sleeve shirt. We had showed her this “new outfit” before leaving Nicaragua and she was so excited to put it on. We had no issue getting her dressed but you could tell there was a little confusion on what this “long sleeve and long pants” was all about. As soon as I put the shirt on she pushes the sleeves up over her elbows and once we were done, the pants were pulled up above her knees. It was priceless! Vivi has, without a doubt, just embraced life here in Indiana. She continues to love music. She loves being with her cousins and her grandparents. 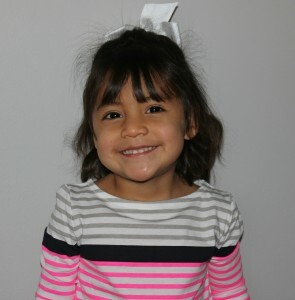 She loves to color, play with puzzles and reads books. Every day she is learning new things. She continues to eat new foods every day. Our adjustment has been pretty miraculous at this point. Vivi acts as if she has been here her entire life. We really have been blessed to have such a smooth transition. We have a very supportive network of friends and family. Everyone was so excited and supportive of our decision to adopt. We had a group of friends and family come to the airport to welcome us home. They were so excited to welcome the newest member of our family home. 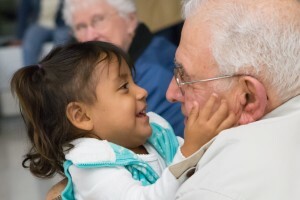 I will never forget Viviana running to her great-grandpa’s arms and giving him a huge hug. It was breathtaking. We are incredibly blessed. Everyone feels the same way we do, that Vivi has been here the whole time. It just fits. The longing for a child you haven’t met is unlike anything I have ever experienced. The waiting is unlike anything I have ever experienced. The to-do list of gathering documents that at times seem redundant and drawn out is unlike anything I have ever experienced. However all of these things lead up to the moment you receive that phone call about your son or daughter….THAT is unlike anything I have ever experienced. The moment you lay your eyes on your son or daughter you have been longing and praying for…that is UNLIKE anything I have ever experienced. Bringing a child into a forever family and watching them blossom…again unlike anything I have ever experienced. The biggest advice I could give someone is in regards to the “wait”. As hard as it is to “wait”, put your beliefs and trust in the fact that God is always at work. Every delay, every hiccup, every moment of not hearing anything has a purpose. You may not know the reason of every delay but when you hold your child for the first time you will be overwhelmed with thanksgiving that they occurred. Because it is in that moment that you know and can see that His timing is perfect. 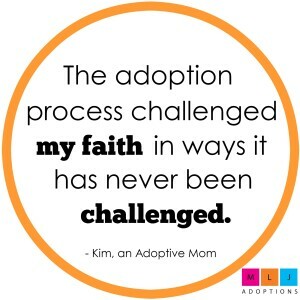 This adoption process challenged my faith in ways it has never been challenged. I was constantly held in a position of complete dependence on Him which changed me. One thing I did as we were going through a long period of waiting was create a prayer wall. In our child’s room, I began writing scripture verses up on the wall. I would then go in there and prayer over them….over and over and over. Having complete trust in God’s promises was very helpful to me in learning to trust in Him during the wait. Please contact us if you are interested in adopting from Nicaragua.